Gigavac’s MX Series EPIC (Extended Performance Impervious Ceramic) sealed DC contactors and AC contactors are designed to meet MIL-R-6106 and are especially suited for military vehicles and heavy-duty applications. The hermetically sealed chamber ensures that coil, contacts and electronics are shielded from all outside environmental factors. The ceramic to metal weld allows for operation in extreme temperatures up to 200°C. Silver contacts ensure long life and contact weld resistant operation even in high inrush and overload applications. 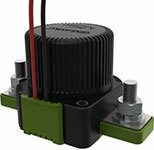 The dual coils design allows for low-power coil operation without the use of EMI-generating PWMs. 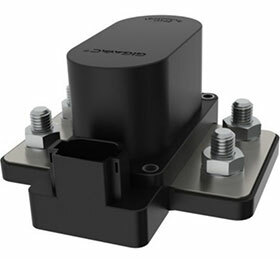 Options include normally-open, normally-closed and latching contactors, as well as versions with integrated current and/or voltage sensing abilities.